Claire Seneviratne - Ceramic Artist: Pink abalone silver pendant. 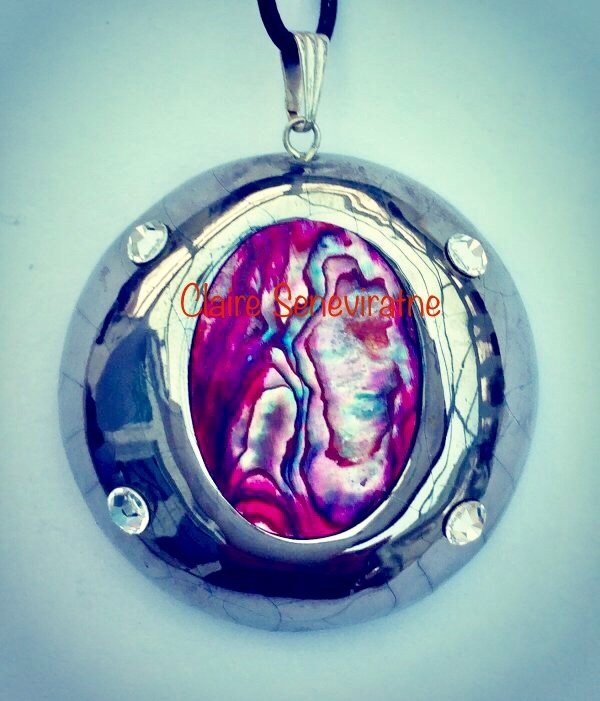 A pink abalone shell with a silver lustre ceramic surround and swarovski crystals. All pieces are original.